sweetest, smartest, and most well behaved dog ever. would love to share him with you..The following pictures were taken before he passed away. 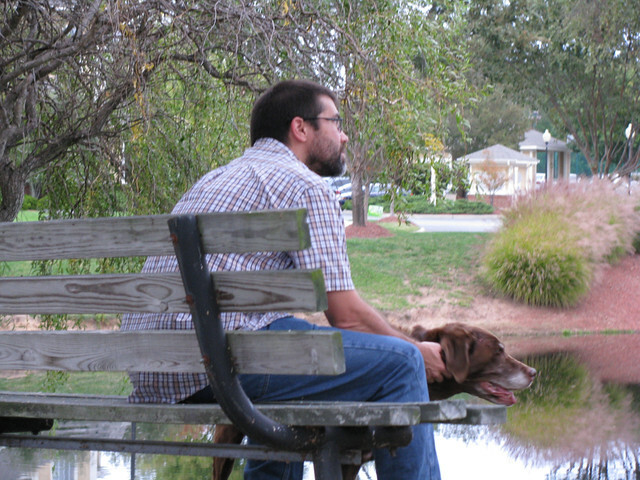 My son and our beloved granddog taken shortly before he passed away.. 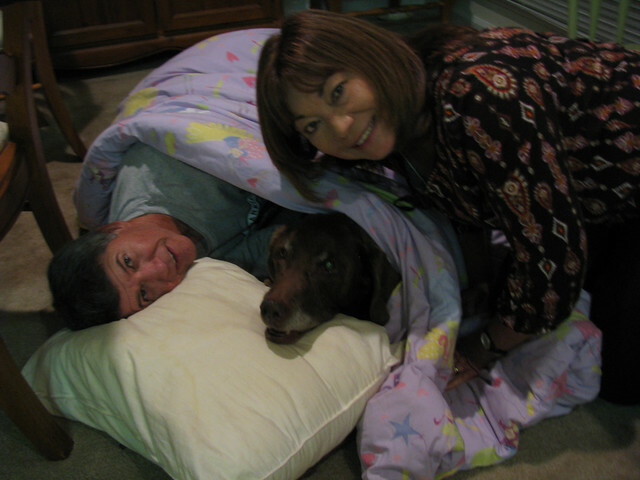 Timbre as a young fellow..
My hubby and I with him as he rests under the comfort of the quilt..having a hard time that evening. 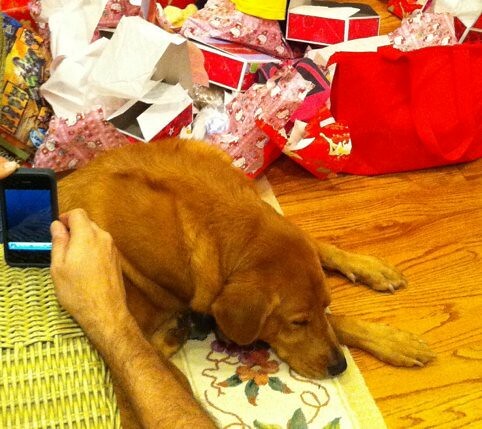 His buddy misses him..They used to tear up wrapping paper together at Christmas. Life goes on, but I never thought the loss of a pet, that I didn’t even own, would be hard. Timbre was the best. I think about him every day. I miss my friend. Oh what a sweet baby. I have three precious fur babies, and we had to put our 4th baby down a few years back. I miss her so much, she was my shadow. It almost killed me when we had to put her to sleep, but she was suffering from feline diabetes and was nothing but skin and bones. So sad. It is amazing how much they become such a part of our lives. I just don’t understand how people can treat animals so cruel, when all they want is unconditional love. Thanks for sharing your grandbabies with us. What sweeties! Sorry for the loss of Timbre. It’s so hard to lose a pet. But Tucker looks like a good guy, too! Stopping by from The Polohouse link party. It’s always sad to lose a beloved pet…they become such a part of the family. Although they can never be replaced, a new puppy is a distraction and becomes something to share your love with and help fill the empty space in your heart. Such a sweet memorial to a much loved baby. I’m always amazed by how much our pets become an ingrained part of our lives. I’ve owned and lost many pets over the years and have fond memories of each and every one. Thanks for sharing this with all of us. Thanks for sharing this. We got a sweet baby about 2 years ago and I can’t imagine losing him, so I know it’s got to be tough. Tucker looks like a fun little guy and I’m sure your family is already in love with him. I know Timbre will forever hold a spot in your heart. I know the loss had to be so hard on your family! Looked like such a sweet dog. Timbre is one gorgeous dog! That second photo could be a cover of an L.L. Bean catalog! I am so sorry he is gone, but I can see not forgotten and living well in your heart and memories. 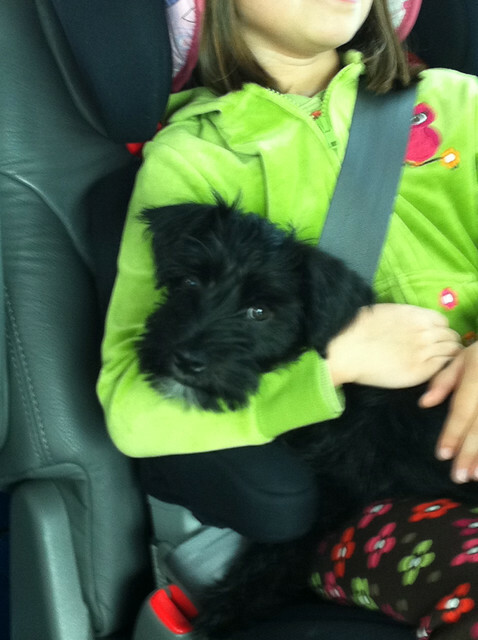 Thanks so much for sharing your sweet grand-dog and your family pics AND the other pups as well! You are too sweet, adding my little old blog to your sidebar! What a wonderful story! What wonderful memories you must have. You are blessed. I also wanted to say thank you so you for being such a fantastic blog friend and being so generous with your comments and your encouragement! Oh my, did that bring a tear to my eye! Timbre was indeed a beautiful dog, and I loved that profile picture of him in a stream of water. Yes, we shouldn’t forget that the four legged buddies left behind also go through a mourning process of losing their friends. Tucker looks like a bundle of energy and hopefully will soften the loss for all of you! (BTW, I had to stand up and look upside down at your husband ~ for a minute I swear that looked like Simon Cowell.) Yikes!